Despite Apple’s record-breaking sales after every release of an iPhone, Android still is the largest mobile operating system provider, owning 48% of this market. 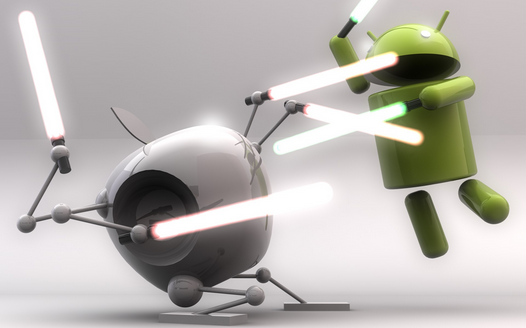 On the app store market, Android holds the second place, but at a close range from the leader. Android Market is, however, a testing ground for developers and publishers and lately, over 185,000 of unsuitable apps were removed. According to a report published on Research2Guidance Apple users interested in App Store are millions of iPods or iPads owners, not only iPhones users. With 240 million smart devices sold, Apple wins over Android’s 170 million cumulative sales. Under the circumstances, the figures show that in the third quarter of this year, Android Market had 319,161 apps and App Store had 459,589 approved apps. The count leaves out the apps erased by both companies from their stores because of various reasons. The total number of applications from Apple’s AppStore was higher than 600,000 as Android Market had over a half million submissions. The conclusion is that Android had to remove about 37% of the submitted apps while Apple did the same thing with about 24% of the apps. The significantly lower number of apps wiped out from App Store points out to a more rigid set of requirements for developers and publishers. Besides, Apple is checking the App Store regularly for inappropriate or outdated content and makes sure nothing spoils users’ experience on their devices. Meanwhile, Android Market is an emerging market that allows developers and publishers to do a lot of testing, to submit trials, demos or even malware content, according to a recent report. Almost 78% of the apps removed from Android Market were free, which means that developers probably tried harder with their apps that could bring profits with every download. On the other hand, figures show that Android developers are more productive than Apple’s. Research2Guide reports that “the average publisher on Android has placed more than 6 applications in the Market since launch, compared to just over 4 apps on average that have been published by iOS developers.” In the end, it’s the quality and not the quantity that matters.